There is a free 7-day trial for Sirius Internet Radio. 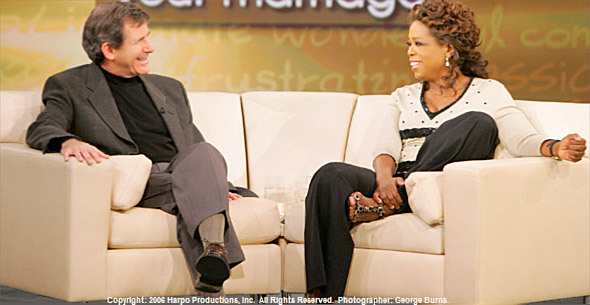 For more info, go to Oprah Radio on Sirius. We are committed to supporting you in accelerating your spiritual growth. We have three special gifts for you. We hope that you will find these tools helpful in creating spiritual partnerships with many people, not only your intimate partner. 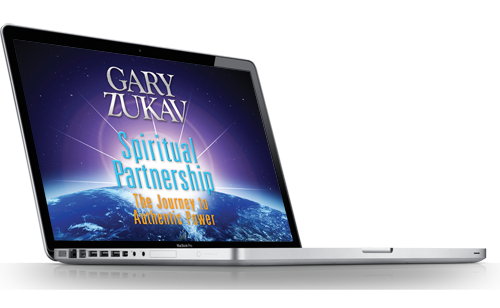 The Spiritual Partnership Guidelines show you how to create authentic power and spiritual partnerships any time, any place, and with anyone. Use these Guidelines everywhere—at home, with family, with friends, with adversaries, at work, and at play. Learn the empowering vocabulary and concepts of Authentic Power. Use your every day, moment-by-moment experiences to align your personality with your soul. This is a special audio recording Gary and Linda made to share some of their experiences—both joyful and difficult—in creating authentic power in their spiritual partnership for over 17 years. A message has been sent to you to confirm your email address. You will receive occasional messages from us and announcements about our events, new online tools, and Seat of the Soul Institute activities. You will also receive an invitation to sample our first ever rich-media, interactive eCourse Awakening to Spiritual Partnership when it is available. We look forward to supporting you online!